So how do our engineers produce “Everything but the Enclosure”? These two oversight videos give an intriguing picture of how some standard technologies and a lot of ingenuity came together in our existing German facility and the new factory in Bosnia which potentially doubles capacity. 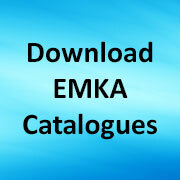 “Best of EMKA” is a comprehensive tour through the many production processes of EMKA group – casting, injection moulding, machining, friction welding, purchasing, bending, forming, finishing, extrusion of sealing profiles and foam sealing injection. “Bosnian factory” is an overview of the EMKA group manufacturing facility in Bosnia, tool and mould making, zinc die-casting, stamping, thermoplastic moulding, finishing, PUR foam sealing and final assembly. Both videos may also be viewed on the EMKA blog at www.emkablog.co.uk/videos. Share the post "Video Profile of How to produce “Everything but the Enclosure”"